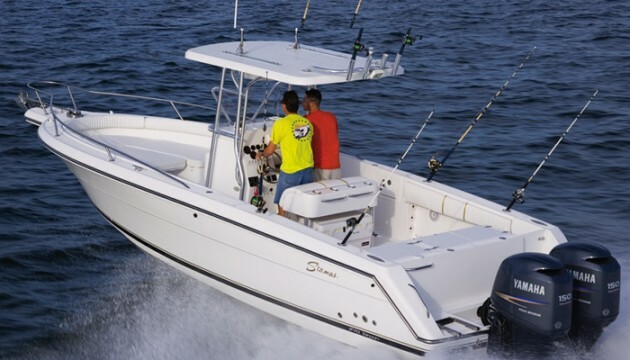 The Stamas Tarpon 289 center console is brought to you by the oldest continuously owned and family operated production boatbuilder in the nation. 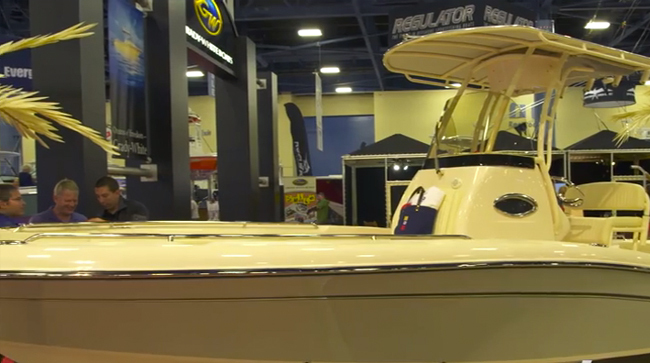 At the Miami International Boat Show, it’s usually the hot new rides that garner the media attention; all-new models like the Grady-White 251, the Bryant Calandra, and the Chris-Craft Launch 36. But every now and again you come across a boat that has been around for a while, yet is still newsworthy. Why? Maybe there’s a back story, maybe the boat is simply not well-known yet deserves the attention of boat shoppers, or maybe the boat features some unusual new equipment. 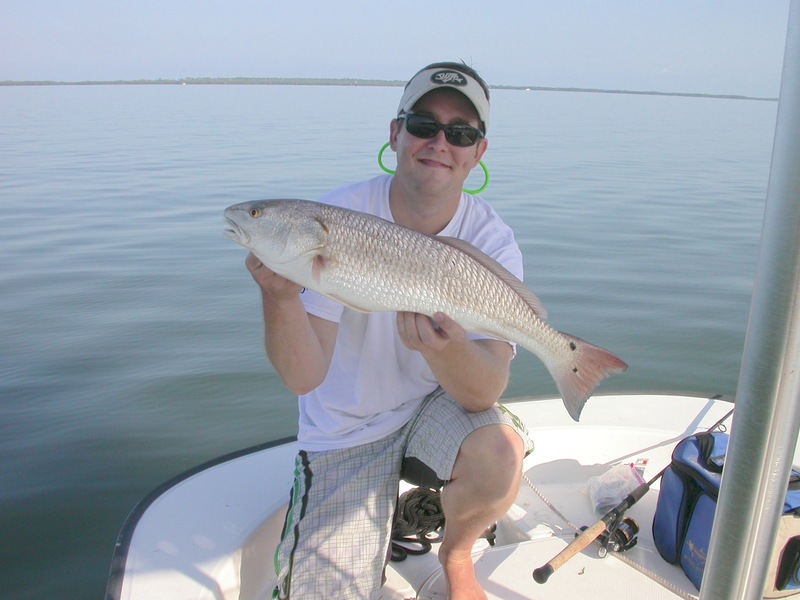 In the case of the Stamas Tarpon 289 all three are true. This boat caught our attention—and held it. Recent updates, build quality, history, and some new gear all conspire to make the Stamas Tarpon 289 newsworthy, even though the hull has been around the block a time or two. Stamas is quite an unusual company in the world of boatbuilding. It began when Peter and Nicholas Stamas built a wooden boat that won a prize at the state fair. After World War II they began building in production mode, and in the late 50’s, were one of the first builders around to make the transition to fiberglass. Fast-forward to modern times, and one of the founder’s sons, John Stamas, is still at the company’s helm. One of their most popular models, the Tarpon 270, gets a re-do. It becomes the Stamas Tarpon 289, and we find it at the Miami show. The 289 model designation deserves some explanation. The boat has a length of 28’9” with the bow pulpit included (and 30’9” when you stretch a tape all the way back to the end of the outboards). Exclude everything except the hull, however, and length is 27’. Back in the day, most manufacturers used to tag their models with the hull length number. But builders changed the practice some years ago, and began using overall length numbers including pulpits and brackets, when designating the model. So by switching the name up, Stamas was simply getting with the times. 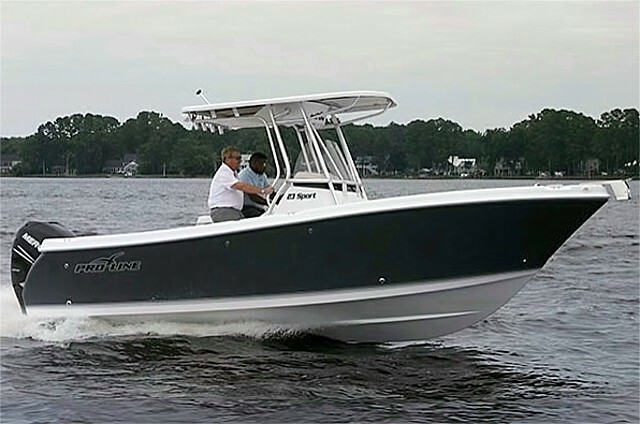 So, why does this boat deserve your attention, even though Stamas has been building center console fishing machines on this footprint for years? As a wise man once said, if it ain’t broke don’t fix it. This hull design, which incorporates a variable transom deadrise peaking at 24-degrees but averaging 22-degrees, does an excellent job of smoothing out the bumps while maintaining stability. Countless boats were zinging around Biscayne Bay, creating a washing-machine wave effect when we went for our test run, and the Tarpon 289 smoothed out the bumps whether we were blasting along at speeds approaching 50-mph, or putting slowly with the waves hitting us on the beam. Beyond the hull, Stamas has made a number of updates and enhancements to the platform. One of my favorites is the transom bench seat. Not only is it sturdy, it flips down with one tug. Many other transom benches require folding legs, struts, or complex hinges that require a heck of a lot more effort. Fish stowage is also notable, with 659 total quarts of capacity split between a pair of forward boxes and one aft, all of which drain directly overboard and don’t require pump-outs or macerators. That's just plain smart design. And take note of how the console door swings open wide on gas-assist struts, giving you a huge entry to the head compartment. One beef, here: it would look nicer in there if the canvas curtain protecting the helm rigging was upgraded to a fiberglass panel. Upgrading to the Suzuki Precision Controls is a worthy expense. 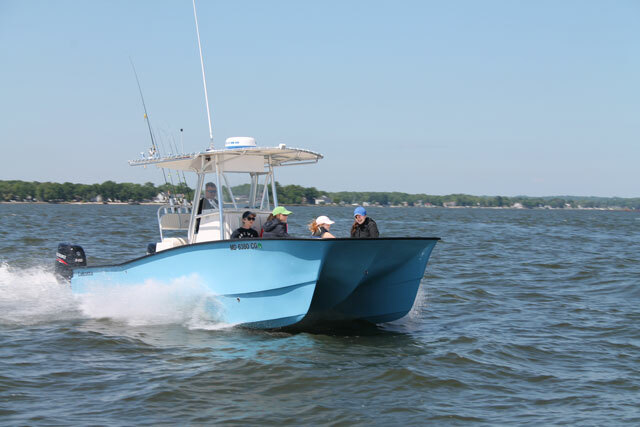 The Tarpon 289 we ran was rigged with a pair of 175-hp Suzuki four-strokes, rigged with Suzuki Precision Control. These controls are Suzuki’s version of digital throttles and shifters, and they were buttery-smooth. They add between $1,200 to $1,600 to the price of the boat, but the list price is surprisingly reasonable: you can get into a 289 for around $120,000. 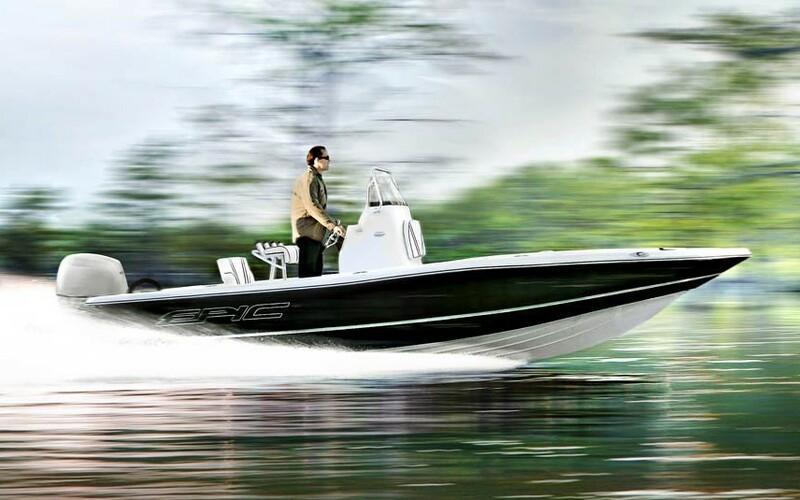 Most people will want to spend a bit more and go with twin engines, but a lot of the big-ticket items that most builders charge extra for—like hydraulic trim tabs, a 20-amp onboard battery charger, a portable head, and the T-top with four rocket launchers and spreader lights—are included as standards. This model isn’t flashy, nor is it outrageously expensive. Its speeds aren't off the charts, nor are they lacking. The build is not high-tech, nor is its ruggedness open to dispute. 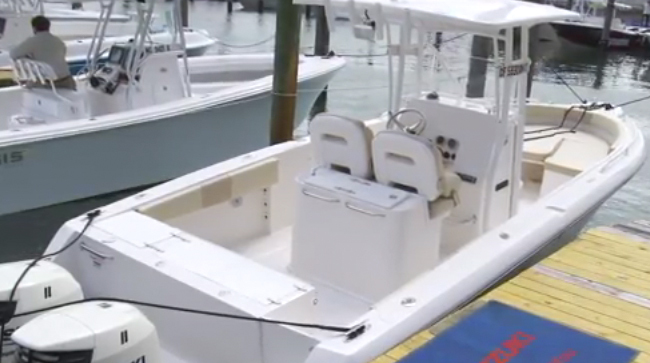 In essence, the Stamas Tarpon 289 is a bread-and-butter boat. 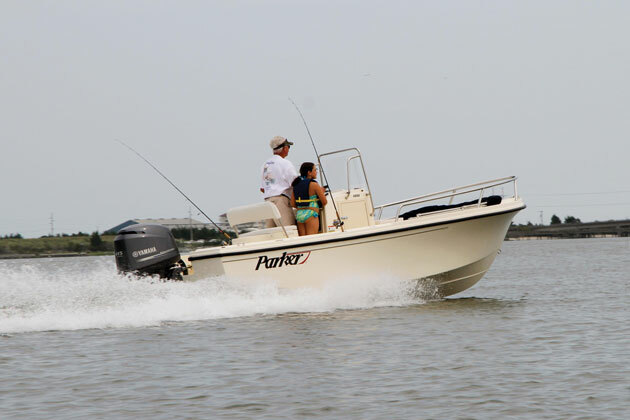 It may not make a lot of headlines, but it will make a lot of fishing lines come tight—and if you’re looking for a center console fishboat in this size range, it’s a safe bet that the Tarpon will hold your attention. 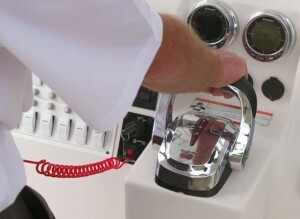 Other Choices: The Cobia 296 Center Console should appeal to the same set of anglers as the Stamas. Those who want a bit more bling should look at the Chris-Craft 29 Catalina, and the Dusky 278 provides a lower cost though notably dressed down option. For more information, visit Stamas Yachts. 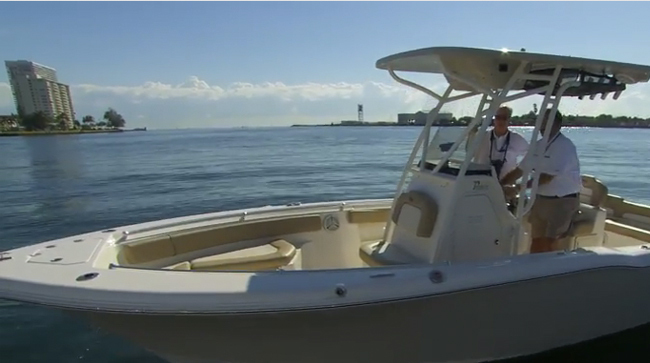 Epic 22 SC: A Fishing Boat That’s… Epic?